Mastiff training must be conducted in an atmosphere of mutual respect, with consistency and understanding. Obedience training at a young age is recommended. Mastiffs are happy to learn, but may refuse to perform tricks they consider pointless. 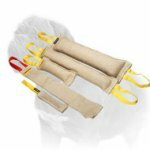 To achieve great results in training your dog you have to be fully and reliably equipped. 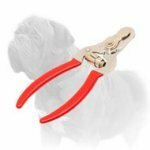 If you are a self-respecting Mastiff owner you know that your dog should be properly equipped when walking in public or performing different types of training. 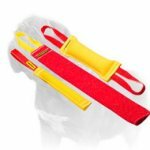 Our Dog Training Store is ready to present you a wide range of quality and safe dog supplies for any occasion. 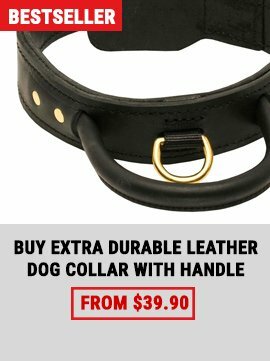 We offer great choice of harnesses, muzzles, leashes, bite suits etc. 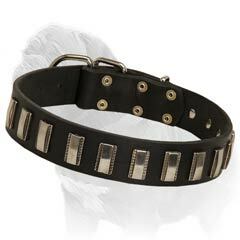 Dress your Mastiff with our Revolutionary Leather Dog Harness. 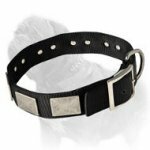 Manufactured with the idea of anti-shackle impact, this harness will give your dog pleasure of free move (including any muscle of his body), while its soft and gentle materials provide comfort and anti-rubbing effect. 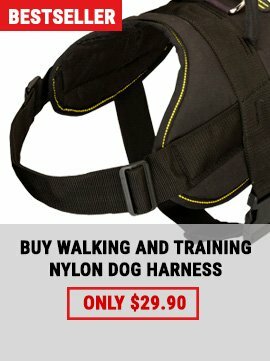 The harness will perfectly do for raising new champions, police working dogs, guard dogs or just for training an obedient family member. 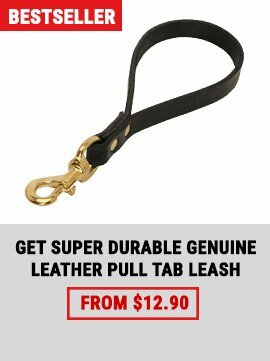 This Leather Mastiff Harness is simple and comfortable both in use and in wearing.